General Rawat said there had been a disengagement of troops of both countries in Dokalam, where the two sides were locked in a stand-off that ended in August. RAWAT BELAGAVI (KARNATAKA): Army Chief General Bipin Rawat said today that both Indian and Chinese troops were present in Dokalam, but were not in an "eyeball-to- eyeball" contact. "There has been a disengagement on the condition that we will both disengage so that there is no face-to-face contact. So, that disengagement has taken place," he said. 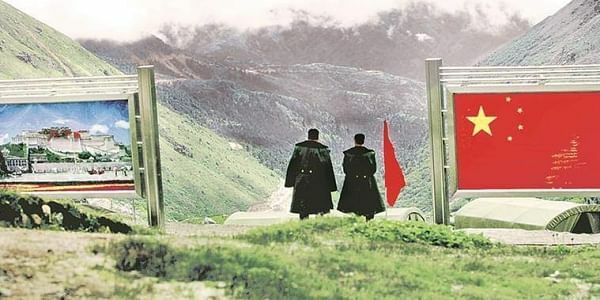 "The PLA (People's Liberation Army) is still at Dokalam, but they are at a reasonable distance from us and we are not in eyeball-to-eyeball contact," the Army chief said. He was speaking to reporters after honouring 23rd and 24th battalions of the Maratha Light Infantry at a glittering ceremony here today. There was a military stand-off between India and China at Dokalam on the tri-junction of the Indian, Chinese and Bhutanese borders but it had ended after 71 days in August. On Jammu and Kashmir, he said there has been no violation of human rights in that state by the Army but it has taken stringent action whenever such incidents occurred. The Army chief said no one would be spared in case of violation of human rights. Asked about reports about rise in recruitments of Kashmiri youths by militant groups since 2013 and resentment against the Army, he said some youths are carried away by wrong conceptions due to social media. He lauded the excellent patience shown by the Army in the area. To a query, the Army chief said Jammu and Kashmir had a different terrain causing frequent intrusion of militants but the Indian force had been giving befitting reply to such elements. Kashmir was, is and will be an integral part of India, he said. He also said Indian Army is undertaking modernisation of equipment for surveillance along both Pakistan and China borders. The government has been funding defence equipment without any issue, he said. Speaking at the ceremony, the Army chief commended the outstanding performance of Maratha Light Infantry right since the First World War in all operational and peacetime commitments. He lauded the history of Maratha Light Infantry which received five Maha Vir Chakras and Ashok Chakras, 44 Vir Chakras and 15 Kirti Chakras apart from Victoria Cross during the British rule. The saga of Maratha Light Infantry and its martyrdom will remembered for a long time to come, he said and exhorted all ranks to continue striving hard for excellence to keep the national flag flying high.